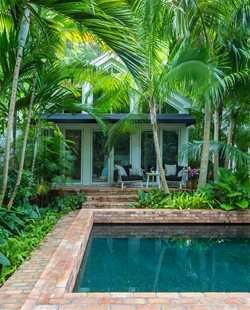 Backyard ponds, streams and waterfalls have become one of today's most requested outdoor amenities. More homeowners are discovering that they don't need a trip to the cabin to enjoy a place on the water. A pond or waterfall soothes the senses and refreshes the spirit. 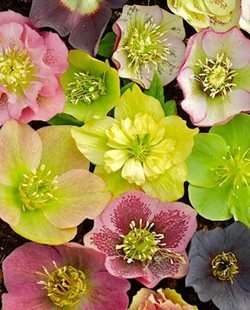 It gives tired eyes a welcome rest and establishes an attractive destination in the landscape. The sound of moving water creates a peaceful ambiance as it hushes city noise. 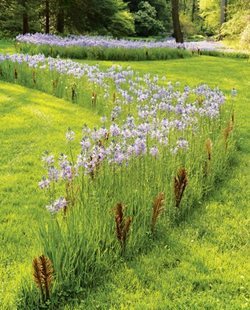 All of these benefits enhance backyard living and add real value to the home. With the right choice of materials and plants, you can create a water feature that looks at home in the backyard no matter what the architectural style. The most important factors to consider when planning your pond, including maintenance requirements, aesthetics, location, size, water flow, and whether to include a waterfall. How to create a water feature with the right balance of fish and plant life. Ideas for using a pond or water feature to bring a sense of Feng Shui to your home. 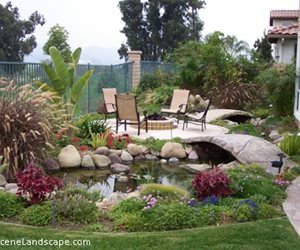 What factors to consider when locating a pond, such as access to electricity for powering a pump, proximity to a patio or deck, and views from the indoors. Options for lining a pond, including concrete, gunite, rigid preformed liners or flexible waterproof sheeting. Advice on choosing pump and filtration equipment for ponds and how to reduce operating costs. Safety considerations when designing ponds, both for electrical safety and to prevent access by small children and pets. How to train koi fish to swim up and take food directly from your hand. 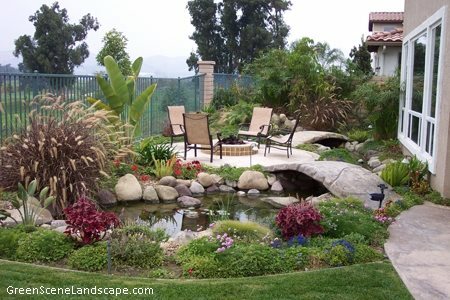 Before installing a pond or waterfall, it's important to remember that no water feature will be maintenance free. However, you can keep your upkeep to a minimum with good design and construction.